Adding to their already robust, end-to-end usage-based insurance (UBI) programs, IMS is pleased to announce the addition of three data analytics partners to offer customers a choice in data insights and intelligence. 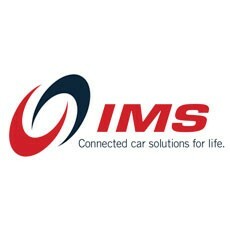 The company’s UBI programs, along with a complete suite of other driver-centric programs and services, are all powered by the IMS DriveSync platform, which includes the use the IMS DriveSync device. While others in the connected car space only collect driver data, IMS has the best and most complete turnkey solutions that transform data into true intelligence and decision-making capabilities for their clients. “It is the most convincing evidence to date that our company offers end-to-end solutions for UBI that address every issue,” said Daniel Lajeunesse, Director of M2M Programs at IMS. The new alliances also mean that clients are able to choose the data analytics provider that best fits their needs, unlike other UBI program providers that cannot offer this valuable option. IMS depends on quality relationships with industry partners to produce complete solutions for their clients. As part of a turnkey solution, the addition of these partnerships only strengthens the company’s position in the ever-evolving UBI marketplace. “We want to offer our clients as many options and intelligence choices as possible to help them be successful in their UBI programs,” concluded Lajeunesse.